Lyle Bunn, digital signage industry consultant, passed away on Tues., Oct. 9 from colon cancer at age 63 in Brighton, ON. A true digital signage professional, one of Bunn’s last wishes was to let his friends in the industry know that it was his "great joy to be able to make such contributions to the industry, touching many individuals and organizations, since the inception of the digital signage industry” and that he hopes the industry receives ongoing success. Bunn had published over 400 articles on the various facets of the digital signage world, and received accolades galore as a result of his ongoing commitment to educate the industry. Bunn was named as one of the 11 Most Influential People in Digital Signage by Digital Signage Today, one of the Top 50 Influencers and Innovators by Sign and Digital Graphics Magazine, and in 2005 was the only individual named in the Top 10 Digital Signage List by Digital Signage Forum. Bunn was also the founder of the Center for Digital Experience. One of his most beloved professional accomplishments was receiving an honorary "Doctorate of Digital Signage" from the Digital Signage Experts Group in early 2011. 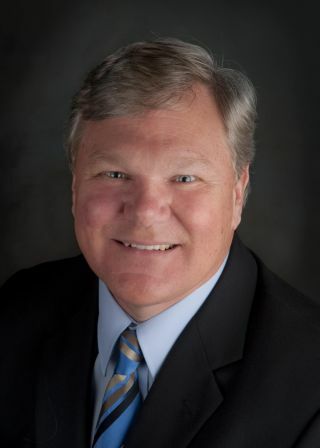 Bunn influenced many in the professional audiovisual and digital signage industry. Below is a collection of thoughts shared by his friends and partners. “Lyle Bunn’s presence in our industry will truly be missed. Lyle’s passion for digital signage was always refreshing as he was always excited to tell everyone about some new digital signage invention, company, or way of communicating information digitally that he was involved in. I will never forget his smiling face as it always brought a smile to my heart." "When I first started out creating a digital signage network in higher education, Lyle Bunn was one of a number of industry voices I reached out to for much needed insight. He was very kind to me, and we began several dialogs surrounding best practices, and those were wonderfully helpful. Then, when attending the Digital Signage Expos over the years, we would often have a cup of coffee or chat on the show floor to catch up on how we both were doing. He would often attend various higher education sessions I presented and would ask pertinent questions and offer salient points in the conversation. I will miss this gentleman's kind words and friendship."